FILE - In this Nov. 7, 2017, photo, Aretha Franklin attends the Elton John AIDS Foundation's 25th Anniversary Gala in New York. Franklin, 76, died at her home in Detroit on Aug. 16, 2018. Franklin was professional singer and accomplished pianist by her late teens and a superstar by her mid-20s. Raised in Detroit, she recorded hundreds of tracks and had dozens of hits over the span of a half century, including 20 that reached No. 1 on the R&amp;B charts. 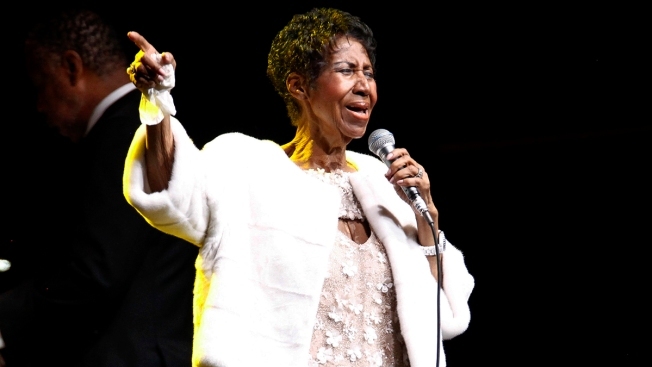 That's when she blazed the pop and R&amp;B charts with a string of hits, including "Respect," ''I Say a Little Prayer," ''Think," ''Chain of Fools," ''Day Dreaming," ''(Sweet Sweet Baby) Since You've Been Gone," ''Rock Steady" and "Until You Come Back to Me (That's What I'm Gonna Do)."